WHAT YOU GET: The latest “in the trenches” and academic research about organic, regenerative and sustainable gardening, farming and agriculture. WHAT MAKES ME DIFFERENT: I have dirt on my hands, mud on my boots and 30 plus years of growing, observation and contemplation. We are all in this together. 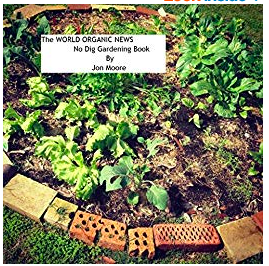 I have published an eBook covering the practical and the philosophical aspects of the future of food production: The World Organic News No-Dig Gardening Book.